Crémant from Alsace is getting better and better. The raw material has historically consisted of still wine from Pinot Blanc and Auxerrois, but now Chardonnay and Pinot Noir are increasingly used for France's most drunken sparkling wine. 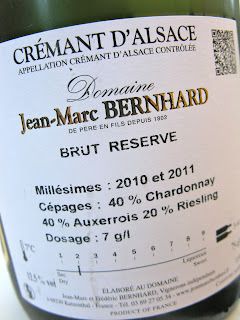 Chardonnay provides a lovely acid that allows long bottle aging and lees sur lattes. With bottle storage up to three years before degorgement producers such as Bernhard, Mader and Sorg make serious sparkling wine with lovely volume and mouth feel. The sugar added can scarcely be perceived. 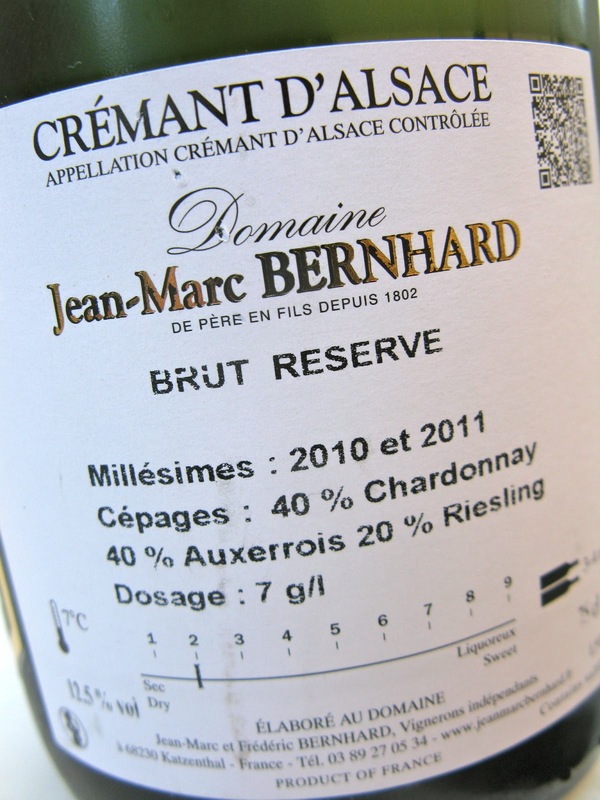 Crémant from Jean-Marc Bernhard offers a fresh nose with brioche, yellow apples, quince and mineral. In the mouth, the wine has a fine mousse that does not feel bubbly. The palate is medium bodied, with lovely fruit, a lively acidity on the tongue and a rich aftertaste with a hint of grapefruit zest in the finish. The balance between volume and acidity make it a perfect match for food. Moreover, it is ridiculously cheap! Price: € 6.80.